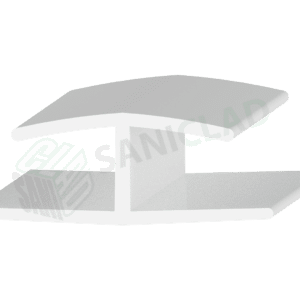 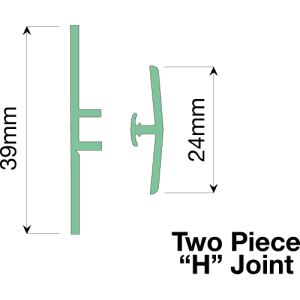 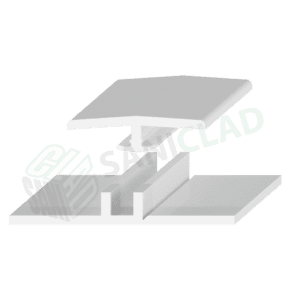 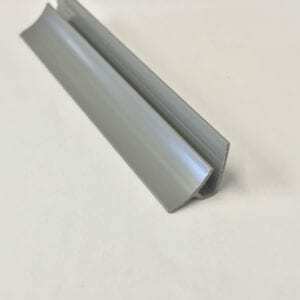 A two-part J Section is used as an edging trim particularly at the base of a sheet, the clever design simplifies the installation process saving time. 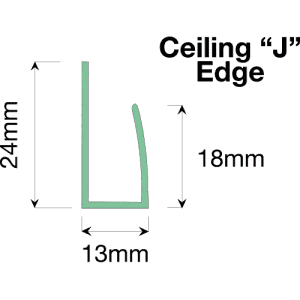 3mt Ceiling “J” is fixed around the perimeter of a room to allow the ceiling plank edges to be hidden it can also be used with our 10mm Saniboard wall cladding. 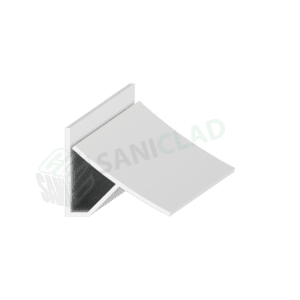 The SaniLife Internal Small cove corner is used to neatly finish inside corners; one side has a groove that slides onto the sheet the other side of the angle covers the sheet. 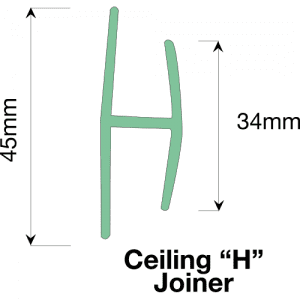 A “H” joiner is used to join a 10mm Saniboard or to extend a ceiling, for example if your ceiling was 10mt x 10mt in length you would have a “H” right the way across the room at 5mt and then continue your installation with another 5mt row of ceiling planks. 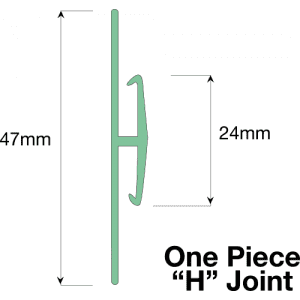 The SaniLife “H” section joining strip is used to neatly join sheets together allowing for expansion. 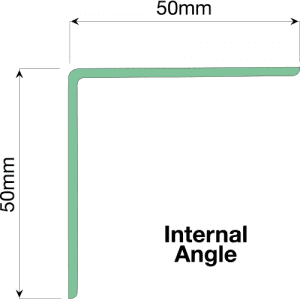 Available in 2.44mt/3.05m Lengths. 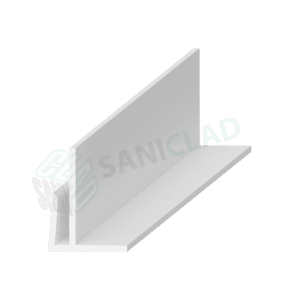 Please note image is a 3D render for profile illustration purposes and matched to cladding, for colour sheet samples please request a sample pack. 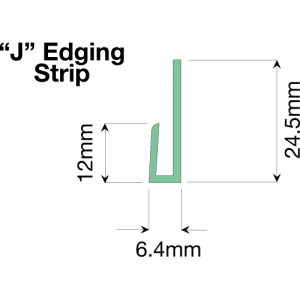 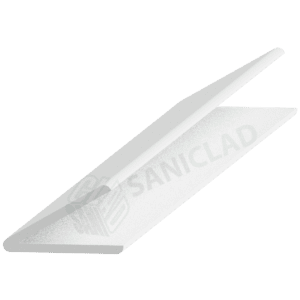 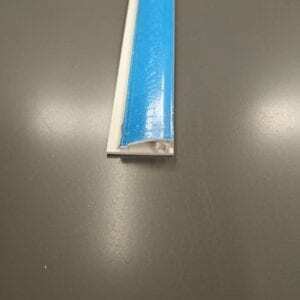 The SaniLife “J” section edging strip is used to neatly finish coloured sheet edges. 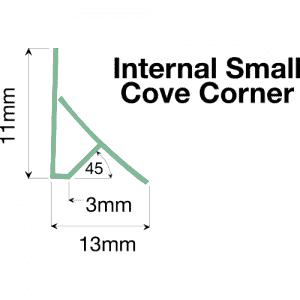 Available in 2.44m/3.05m Lengths. 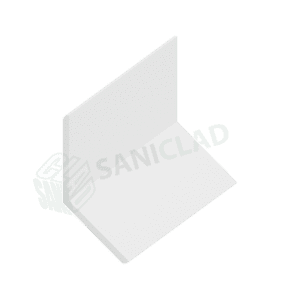 Please note image is a 3D render for profile illustration purposes and matched to cladding, for colour sheet samples please request a sample pack. 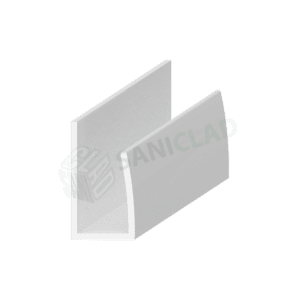 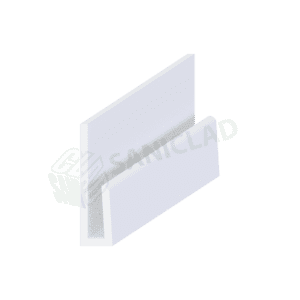 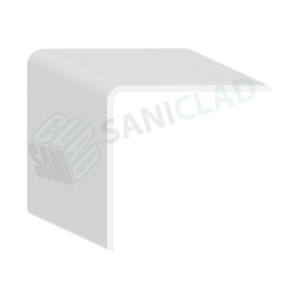 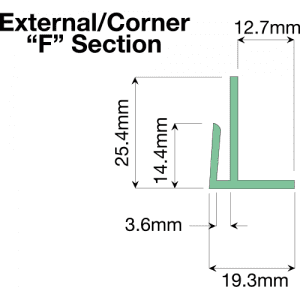 The SaniLife matching colour F profile angle is used to cover external corners; one side has a groove that slides onto the sheet the other side of the angle covers the sheet. 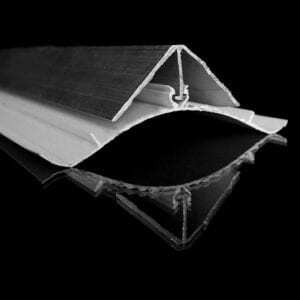 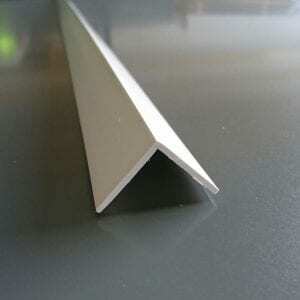 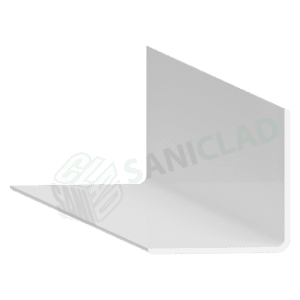 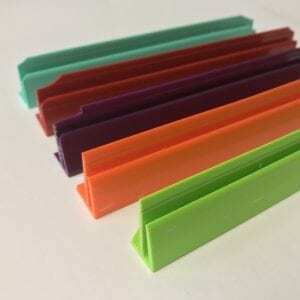 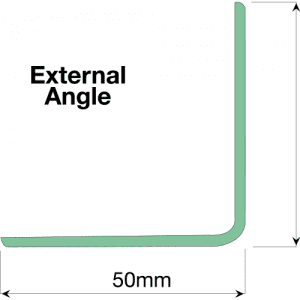 Used as an Internal or External PVC corner, this is a 25mm x 25mm universal flexible angle. 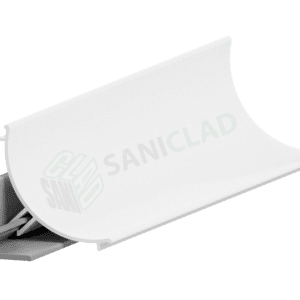 Height 2.44mt or 3.05m, to install apply a single bead of SaniBond 300 along the full length and push into place.